Products – Cameras – CM-906D2 – Team Research Inc.
A CCD night vision wireless camera – weatherproof and durable, for outdoor or indoor use. Built-in 27 infrared LED lights enables you to view up to 45 feet at night or in low-light settings. Includes a receiver. 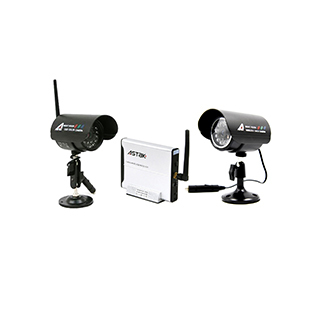 • Weatherproof night vision wireless CCD color camera. • Built-in 27 Infra-red LEDs to aid nighttime vision. • Professional quality and durable design just connect to your TV or VCR. • No wiring needed, easy installation in 5 minutes.